First off I need to say congratulations to my other part of Two Girls Cooking – Jodi. She gave birth to her first baby boy yesterday at 10:01pm. His name is Sammie Taylor. And from what I’ve seen of his picture, he’s a pretty cute little guy. Congratulations to you and Scottie. Be blessed with your new bundle of joy! Now onto pizza. I will say there are few things that I really enjoy eating quite often. One is Zantigo and the other is this home made pizza that Jodi gave to me a while back. Then came that time where I was told I needed to cut this sort of food out of my diet. That was a hard one to take because this pizza is so good. Do any of you remember Edwardo’s? There used to be one in Bloomington and downtown Saint Paul. Now the only place I’ve seen one is in Chicago. Jodi and I actually traveled there just to eat this pizza. Ok, that’s a little far fetched, but it was one of MY reasons for wanting to make the trip. I even got on a plane for this! Jodi found this recipe at Annies-Eats blog. And when I looked up in my trusty low cholesterol cook book, I found a recipe that I could make the dough and still enjoy this pizza. I know when I post a new recipe I always say that this is a must try. But this one here, is truly a must try. 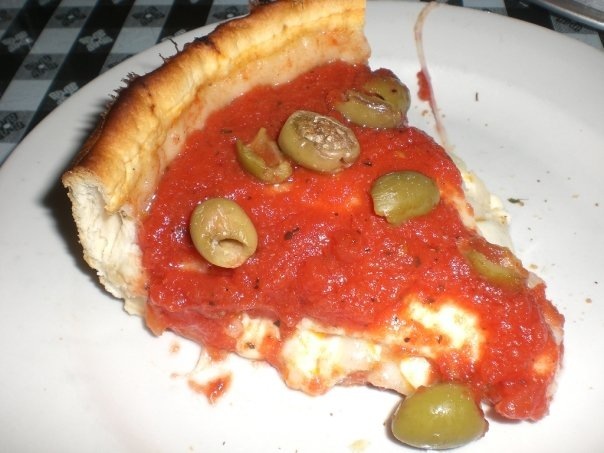 If love home made pizza, I promise this will not let you down. 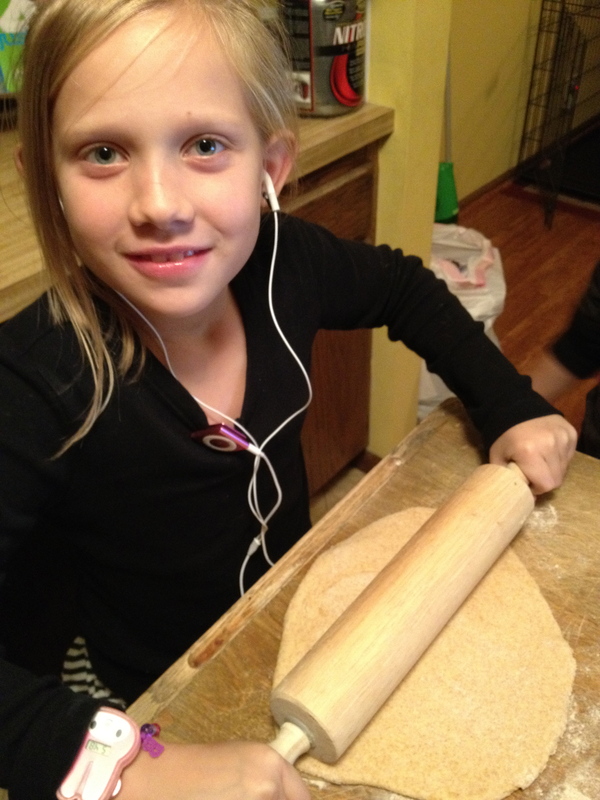 I’ve included the link the Annie’s site if you want to make the original pizza dough. Otherwise you can follow what I’ve made here and feel good about what you’re eating (not to say Annie’s is not good – it just doesn’t use the low fat, no fat ingredients that I need to follow). 3. Turn dough onto floured work surface and let reset for 10 minutes. Spray two 12″ round pizza pans with nonstick cooking spray and sprinkle with cornmeal. 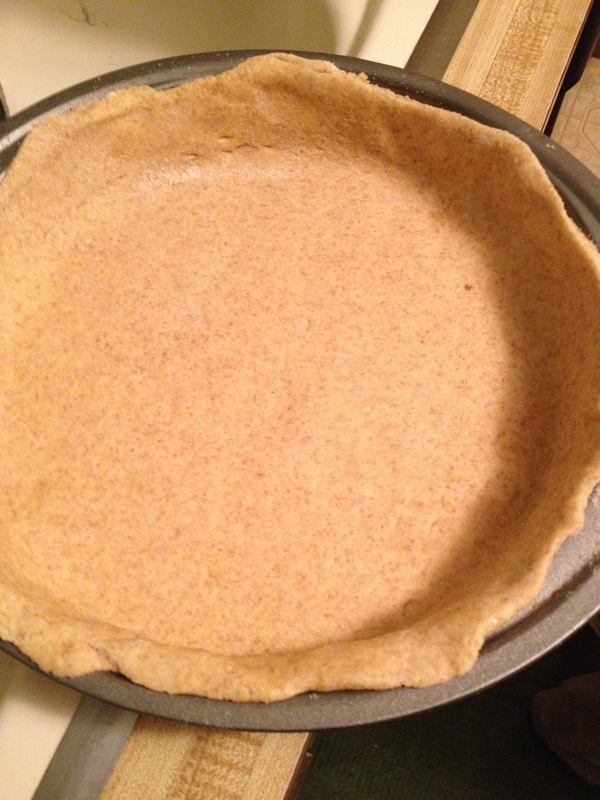 Divide doug in half and roll to 12″ circles; place on pizza pans; press to edges if necessary. Let stand for 10 minutes. 4. Preheat over to 400 degrees. Bake crust for 10 minutes or until set. Remove from oven, add toppings, return to oven and bake as the pizza recipe directs. To assemble, coat a 9-inch round cake pan with 2 tablespoons of olive oil. Transfer the dough ball to a dry work surface and roll out into a 13-inch disk about ¼-inch thick. Transfer the dough to the pan. Lightly press the dough into the pan, working into the corners and 1 inch up the sides. If the dough resists stretching, let rest 5 minutes before trying again. Sprinkle the shredded mozzarella over the surface of the dough. Spread the tomato sauce over the cheese and top with Parmesan. Bake until the crust is golden brown, 20-30 minutes. Remove from the oven and let rest 10 minutes before slicing and serving. This was super good and it had low calories. I used low fat cheese also so it took quite a bit of fat and calories out. I used MyFitnessPal to calculate the sauce by scanning the tomato cans, the cheese. This came out to be under 400 calories per piece. Great. Not much difference in the picture of Edwardo’s to this pizza! !